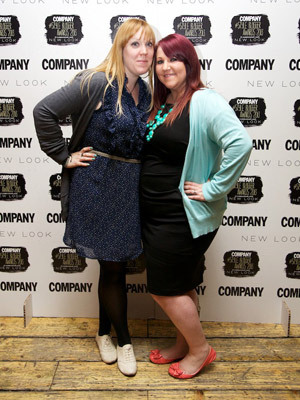 This week (as some of you may already know) we where invited to the Company Magazine #Style Blogger Awards because we had been nominated for best blogging duo and best craft blog. We didn't come home with either award this year but we had an amazing time at the party and met some pretty awesome people, some we already knew and we also made some new friends too. 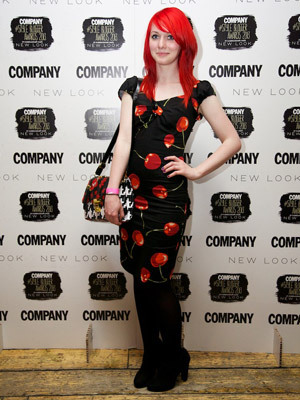 H wears dress by New Look, cardigan from H&M, belt from Dorothy Perkins and shoes from River Island. Sammy wears dress by Very.com, cardigan from M&S, necklace from Etsy.com and shoes from Primark. 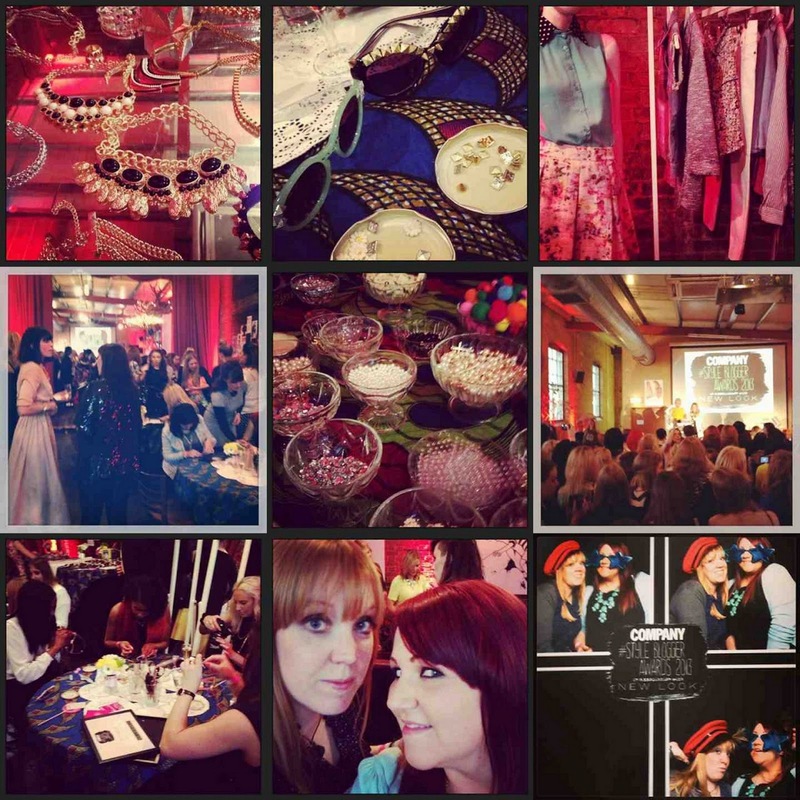 We even made it onto the Bloggers style pages on the Company website! (go us) and check out a video of the evening here. Some of our lovely fellow bloggers, Laura one half of The Afternoon Tea Club (these are our kind of girls) also up for blogging duo and the gorgeous Ann from A Quirky Lifestyle a fellow craft blogger nominee. 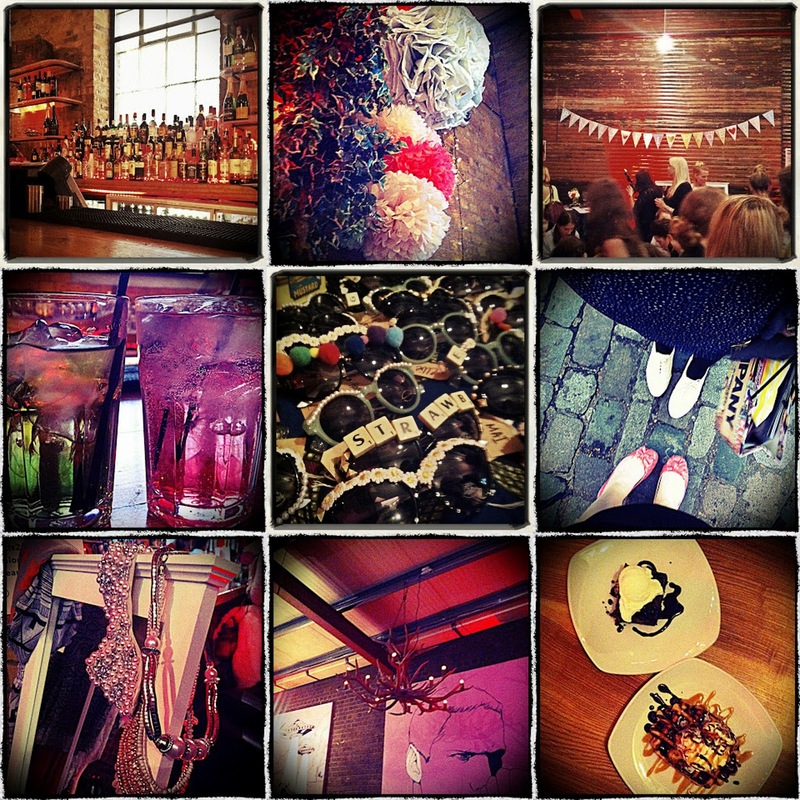 Aside from the awards ceremony itself there was lots of fun things to keep us bloggers interested throughout the night. From a lesson in fake eyelash application from The Vintage Cosmetic Company, to hair advice and a new do from the team at Paul Mitchell. There was a fun Photobooth from Dreambooth (what happened to our third picture we will never know!) and a selection of Newlook's (the event sponsors) finest summer fashion picks. Our favourite activity though, was of course the crafty option of decorating sunglasses with the lovely girls from Pinned it. Made it. who had a familiar helper on the night, our friend from Craft Candy, Zoe (you can check out the App launch party here). We also grabbed some cute lollipops from the girls from Candy Kittens, a really cute clothing line, if you like Victoria secrets PINK collection, you will LOVE this brand. Sammy is already planning her wish list! As we didn't win an award we consoled ourselves with pudding after the party at Spitalfields Giraffe. Well, it was on our way home and it gave us a chance to have a quick look in our goodie bags! It is also becoming a bit of a tradition with us when we are in Spitalfields. 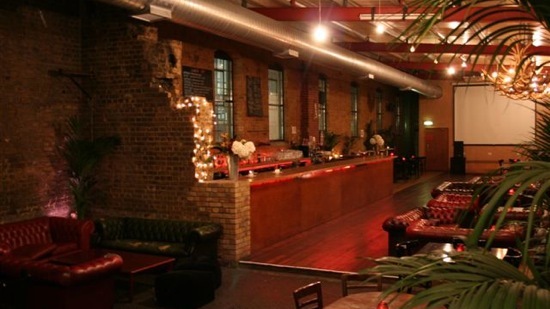 The venue was the uber trendy Corbet Place Bar in Shoreditch, London. You know your in a cool place when they have a bar half the length of the room. We were treated to Champagne and signature cocktails which we tried Bloggers Delight and Blue Eyed Blogs, both super yummy! Food for the evening was provided by All About Wasabi Yummy sushi! Now to the Goody bag (always a favourite!) Goodies included... Propercorn (a current obsession of both of ours), Batiste dry shampoo, Earrings from Glitz and Glam, A beanie hat from Candy Kittens, Nail varnish from OPI, Products from Elemis, Yuko and Soap and Glory. A nail file from the girls at The Vintage Cosmetic Company, A voucher from Pinned it, Made it, Self Tanning mousse and mit from Lauren's Way, and the cutest fabric covered button brooch from The New Craft Society (fellow craft blog nominees). Also shown are Sammy's D.I.Y. studded glasses and our Lollipop from Candy Kittens. Not shown is a copy of Company mag, which went straight in Sammy's handbag and Candy Box blue bonbons which went straight in Sammy's mouth on the train ride home! We want to say a massive thank you to all our friends, Family and of course our readers for voting for us, without you would we have never been short-listed and although we didn't win, we thank you for all your support, now and always! 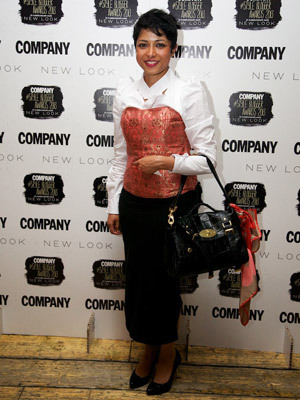 Thank you also to the guys at Company Magazine, and Newlook for throwing an amazing bash for all us bloggers. So you probably want to know who won?? Well here is a list of not only the winners but all the amazing blogs in both our categories, We insist that you go a pay them all a visit right now and show them the support you show us every day, go on you know you want to!! Winners in the Blogging Duo Category were www.londons-closet.com these Gorgeous girls wore the most envy worthy neon dresses! Runners up were... www.thestylerawr.com, www.thesarahsstyleblog.wordpress.com, www.theafternoonteaclub.com, www.thesugarspunsisters.blogspot.co.uk, www.prettyposhohmygosh.com, www.lwofficial.blogspot.co.uk, www.thestrawberrysisters.com and us of course. Winners for Crafty Blog were www.trendswb.blogspot.co.uk a fab-u-lous Crafty blog Trends With Benefits, with loads of fun D.I.Y's. Thank you again, and again!